When you think of classic British rock, the sound is undeniable. It’s the stuff dreams are made of, that sweet clean-crunch that spawned a generation of legendary players and the music that has stood the test of time. 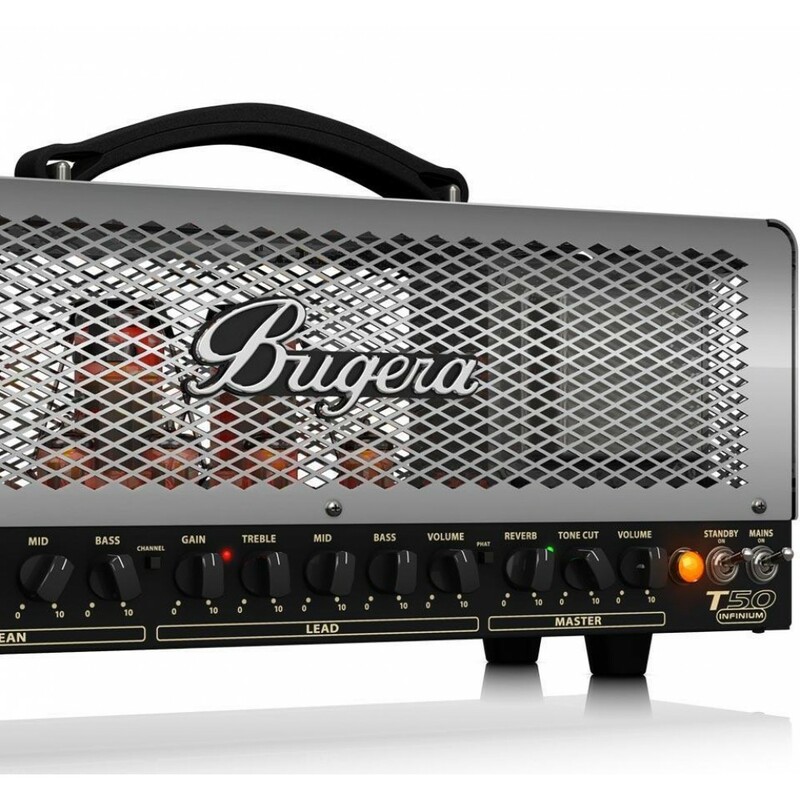 Bugera has packed all that iconic tone, and all the edgy character of a modern high-gain amp into a small, but powerful package – the T50 INFINIUM! 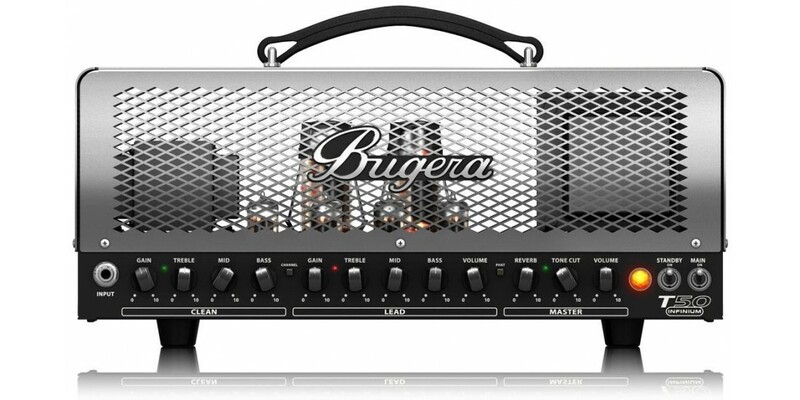 Bugera has added a no-compromise post-phase-splitter, dual-VR Master Volume that lets you attenuate the signal right before the power tubes for full harmonic content at any level, and a huge output transformer for increased dynamic response and clarity. 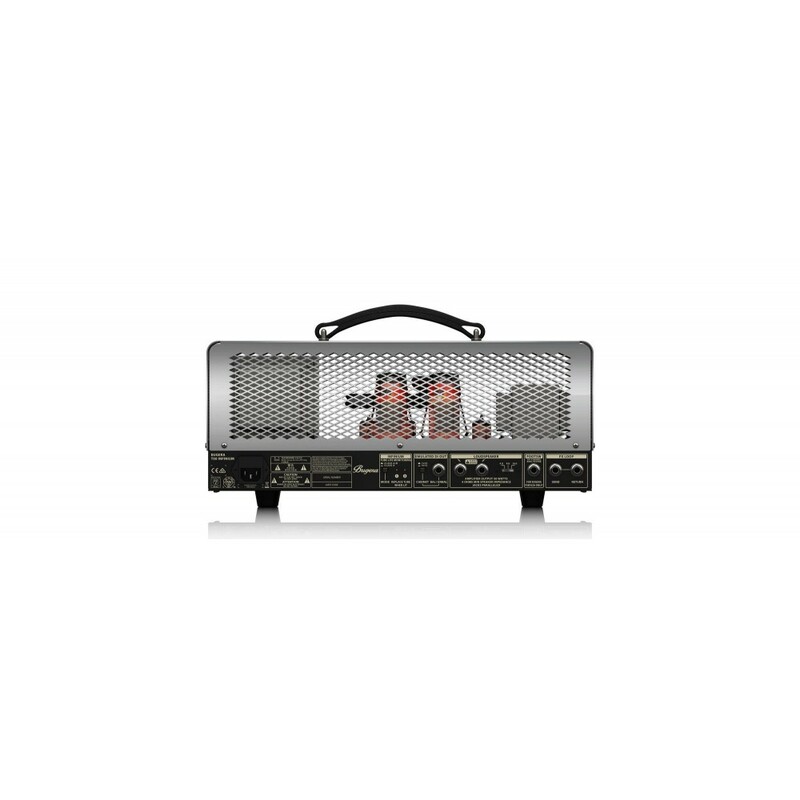 With 4 x 12AX7 tubes and 2 x EL34 power tubes, the T50 is capable of covering vast sonic territories with remarkable ease. 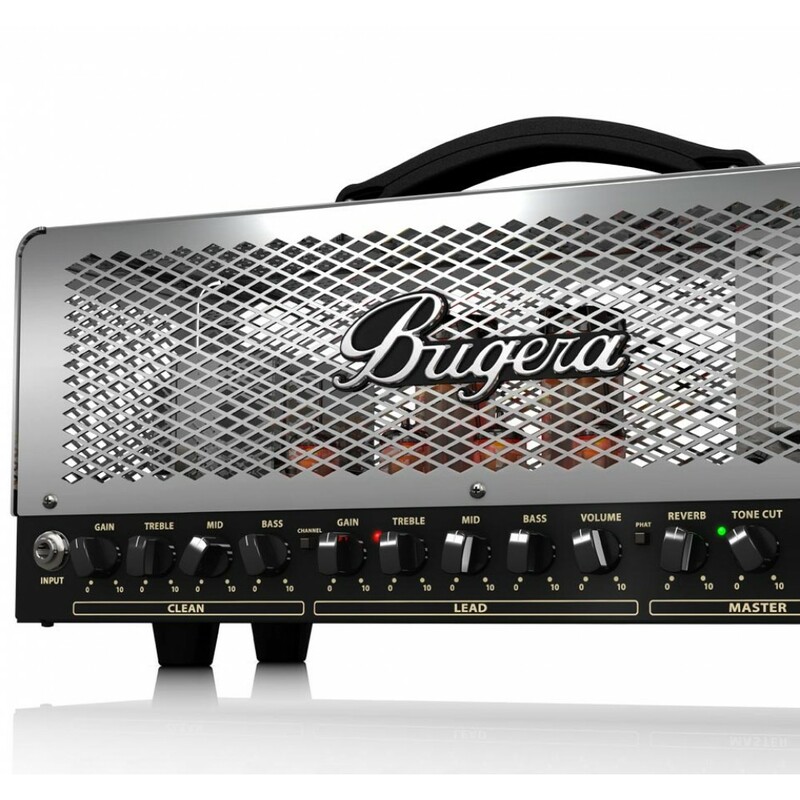 A true 2-channel amplifier, the Clean and Lead channels are completely independent, and each has its own custom-tailored 3-band tone stack (Treble/Mid/Bass) for the ultimate in tone shaping. 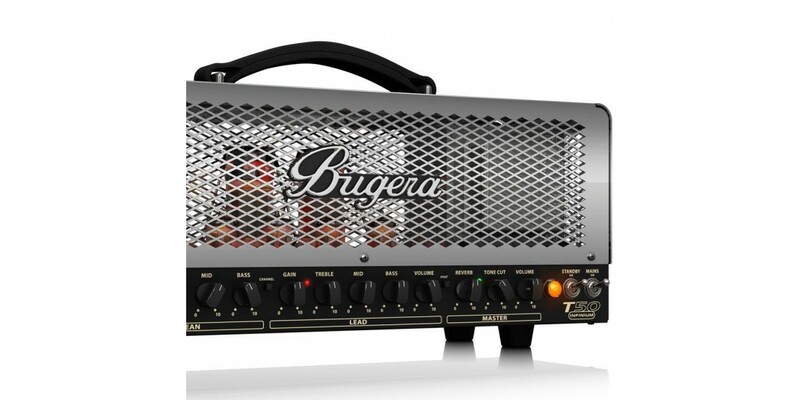 The T50’s push-pull power section delivers 50 Watts of solid rock ‘n’ roll and features Bugera’s revolutionary INFINIUM Tube Life Multiplier Technology – which not only controls your output tubes’ status, but can extend their lifespan by up to 20 times. The T50 INFINIUM also includes switchable Class-A and Class-AB operation, allowing you to choose Class-A for vintage silkiness, or Class AB for its raw and highly responsive power. 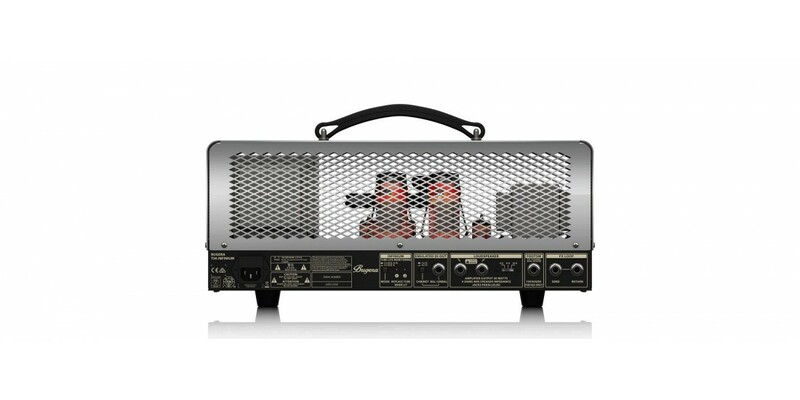 We topped it all off with a sweet-sounding, high-definition Reverb that lends an air of timelessness to your solo and rhythm parts, and a Phat switch to boost the sound character of your guitar playing even more. It all adds up to an all-tube amplifier with massive stage presence and unbridled versatility – the incredible T50 INFINIUM! 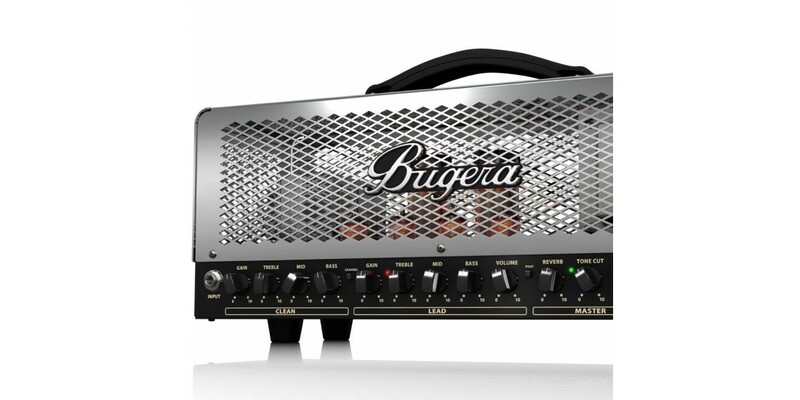 Years in the making, Bugera’s INFINIUM Tube Life Multiplier Technology can extend the usable lifespan of your amplifier’s expensive power tubes by up to 20 times, saving you huge money and ensuring the integrity of your tone. How? This revolutionary circuit automatically and continuously monitors the performance of each output tube, and dynamically drives it towards the target operating point, for an evenly distributed load. INFINIUM also compensates for the effects of aging, automatically adjusting current levels to keep your tubes sounding as good as new – even when AC line voltages drop below nominal levels. Similar technology has been used for decades in all-wheel drive cars, where systems modulate the power going to each wheel to improve traction. 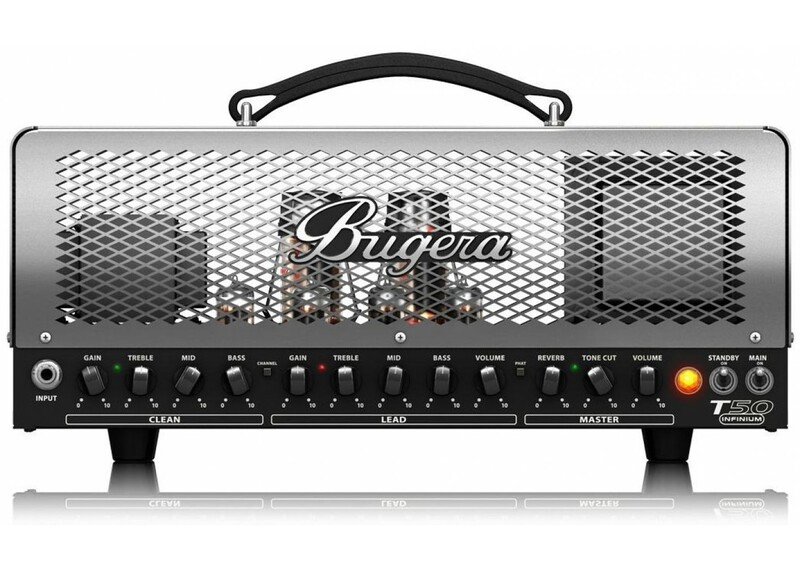 Just consider INFINIUM Series amps “4-wheel drive” for your guitar. INFINIUM Series amps take all the guesswork out of tube replacement by illuminating an LED next to a tube that is reaching the end of its usable lifespan. And thanks to INFINIUM’s Auto-Bias design, you simply replace the indicated tube – without a trip to the repair shop, saving you even more money. Diamond BOLSTP-MV Bolero Flame Maple Mahogany Midn..
Diamond IMABBG-BLSS Imperial Electric Guitar Bigsb..
Diamond Hailfire Ex Series Korina Body Electric Gu..